Baahubali 2 The Conclusion is a 2017 Telugu Indian epic action film directed by S. S. Rajamouli and written by his father K. V. Vijayendra Prasad. It was produced by Shobu Yarlagadda and Prasad Devineni under the banner Arka Media Works. Baahubali 2 Released on 28 April 2017, the film stars Prabhas, Rana Daggubati, Anushka Shetty and Tamannaah while Ramya Krishnan, Sathyaraj, Nassar, and Subbaraju appear in prominent roles. Bahubali 2 was released simultaneously in Telugu, Tamil, Kannada, and in Hindi. As Per TOI Secret Super Star was initially titled as Aaj Phir Jeene Ki Tamanna Hai. Meghna Mishra the original singer of Secret Super Star made her Debut in Bollywood with this movie. They spent an estimated Budget of 250 Cr, the production was launched on 17 December 2015 in Ramoji Film City. this is the sequel. The film was released in 1,100 screens in the United States, and 150 screens in Canada. Secret Superstar is Aamir Khan’s one of the highest grossing movies in the Box Office Collection. This movie was made with a budget of 15 Cr and have grossed more than 966 Cr in the Box Office Collection. As per Movie-Raters HOFS ratio, Secret Superstar scores 61.7, which is obviously the biggest hit movie for Bollywood Industry. Bahubali 2 collected 1810 Cr worldwide. As Compare to Telugu Version Bahubali 2 performed really well in the Hindi version. 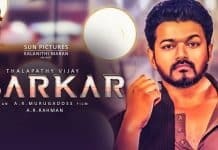 It has grossed over 511 Cr from the North States. Secret Superstar is one of Aamir Khans best movies where we will see him playing obnoxious music director role. This movie does connect directly with the current situation of a middle-class family in India. The story of this movie takes the credit for the success of the movie, where we see how a mother fights with society to make her daughters dream come true. Apart from Story, Narration is one of the major factors to make this movie successful. With the proper narration, you can clearly feel the frustration of middle-class housewife and his daughter. This movie got so connect with the audience that the movie was a blockbuster. 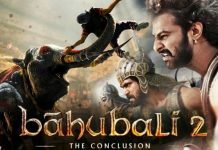 Baahubali 2 The Conclusion onerously carries the equity of the first part on its shoulder and ups the scale on many counts—, especially in heroism. Baahubali has been sketched out as such a symbol of strength and power that he makes you root for him throughout. Prabhas is terrific as father and son. What’s more, this part provides an answer to a question uppermost in everyone’s mind for the last two years—it tells you why Katappa, the old faithful, killed Baahubali Senior.